The Amee Shah Osteopathy Practice is an established practice dedicated to providing an excellent and professional standard of care. 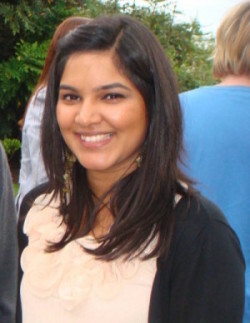 Our principle Osteopath is Amee Shah. Amee graduated from the British College of Osteopathic Medicine in 2006 with a BSc(Hons) in Osteopathic Medicine and a diploma in Naturopathic Medicine, which has made her approach to treatment a holistic one. She has since graduating, developed an interest in treating pregnant women and babies and children, sports injuries and work related injuries. She is a member of the General Osteopathic Council and The British Osteopathic Association. In her spare time, Amee enjoys spending time with (chasing after) her two year old son, going to the gym and practising yoga and pilates. Whether it’s foot, back, shoulder or wrist pain, we’ll be able to help.